The conventional housing market in Australia has never been so unaffordable for first-time buyers. More and more people are finding themselves priced out of the market. The housing affordability crisis continues to be debated in the media but few (if any) people have put forward viable solutions. The news is only getting worse. In January a major international report, measuring housing affordability at a global level, ranked five Australian cities in the world’s top 20 least affordable cities to buy a house in 2017. Melbourne was ranked number six, and Sydney number two. But the dream of owning a home is not over. People of all ages still aspire to own a place to call their own. Realistically, you can probably build a tiny house of your own for as little as $20,000 in materials and depending on how you value a year’s worth of your labour (for argument’s sake 1400 hours at $25/hour) your “sweat equity” contribution being $35,000. For some with time and not money, that can make sense. For others with money, but not time, you can have a tiny house built for full-time living from as little as $50-60,000. You have multiple options with a tiny house as a DIY tiny house project or buying a tiny house outright for living in, or as an investment. In all cases, the tiny house is an old idea as we all seek housing options that are affordable, comfortable, personalised and use technology appropriately for innovation. 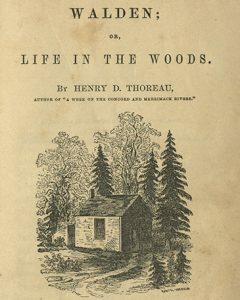 In 1854, Henry David Thoreau forever reframed how we count the true cost of a thing like a house, concluding that the Native Americans would be foolish to trade their wigwam’s for the standard colonial house of the day. That was 1854 in Concord Massachusetts, but it could have been any major city in Australia today. Did you catch it? It’s actually possible to be “a development critic”, which is not something you hear much about these days. We complain about housing prices, but the bigger revolution that needs to happen might be in our minds and the standards we hold that, as a community, we aspire to. 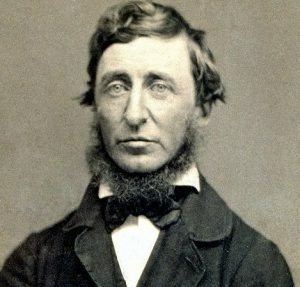 Thoreau sets out a standard for measuring a civilisation’s advancement in a brand new way when he says that it should be measured by the production of “better dwellings without making them more costly.” I think that makes us all ‘development critics’ of a sort. The simple idea for making houses more affordable is to make them smaller. The time has come for that idea to be acted on. It might well be the measure of how well we’re doing as a community if we can pull it off. Tiny Houses, housing affordability and valuing community standards by Fred Schultz is licensed under a Creative Commons Attribution-NonCommercial 4.0 International License.